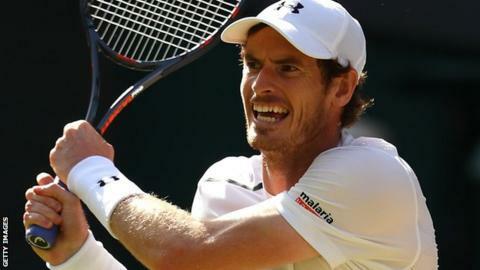 Wimbledon champion Andy Murray says it is "unlikely" he will play in Great Britain's Davis Cup quarter-final against Serbia in Belgrade this week. The 29-year-old beat Milos Raonic in straight sets on Sunday to win his second Wimbledon title. A final decision on his Davis Cup participation will be made after talks with captain Leon Smith. World number one Novak Djokovic, beaten in the third round at Wimbledon, has already withdrawn from the Serbia team. Murray will travel to Belgrade even if he does not play because he feels a "responsibility" to the team. The Scot told BBC Sport: "All the guys on the team are great. Winning the Davis Cup was one of the best moments of my career, and the whole team's. "We are a team and whether I'm playing or not I'll always try to support." The London 2012 Olympic gold medallist said defending his title in Rio next month is his next big priority. "The Olympics is important to me," he said. "I loved the two I was involved in and winning the gold medal made me realise how special it is." Murray played a pivotal role as Britain won the Davis Cup for the first time since 1936 by beating Belgium in Ghent last November. The Scot won all three of his matches on clay in Flanders, and contributed to 11 of the 12 points won by Britain across the campaign. In March, in his first event back following the birth of daughter Sophia, he won three matches in three days as GB began the defence of their title with victory over Japan in Birmingham. Murray beat Kei Nishikori 7-5 7-6 (8-6) 3-6 4-6 6-3 in four hours and 54 minutes to ensure Britain will again compete in the World Group in 2017.